Slack is a communication tool for teams. It is especially useful for groups who may work different people in different groups at different times. The element in slack that handles this dynamic is its channel feature. anyone can create a channel and invite colleagues to collaborate by video conference, text discussion and sharing documents. All of which can be saved and accessed or shared later. More focused discussion can happen by direct message. Channels can also be designated as private or public. 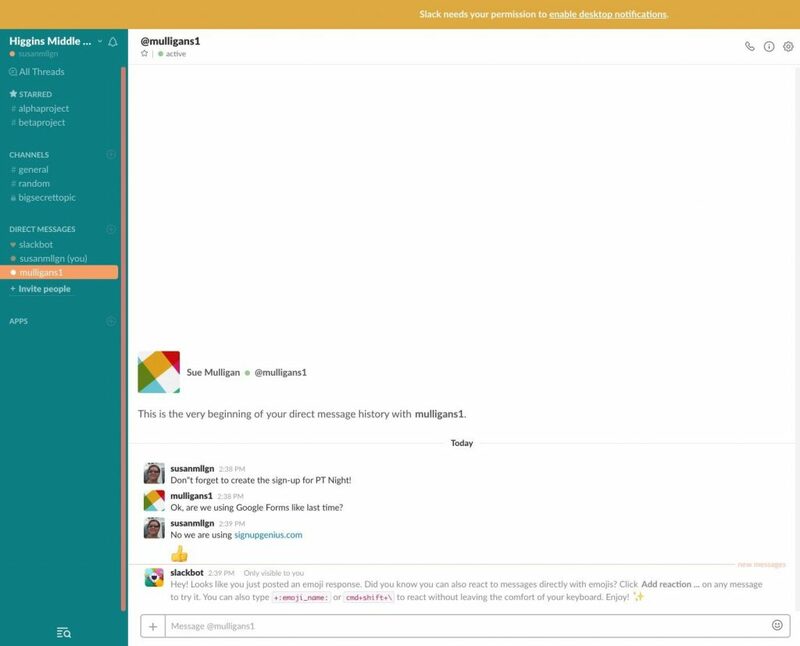 In short, Slack is a great tool for facilitating and organizing collaboration that is very user friendly. The only challenge that I faced was when I switched from my iMac to my iPad. There was a slight learning curve to figuring out how to work with the features on my tablet. I am excited to introduce Slack to my colleagues. In the English Department, we often collaborate through email in between department meetings and Slack would be the perfect tool. There would be a designated channel for specific conversations related to common assessments, MCAS practice, data collection etc. This way, we would not be searching for emails to find the last discussion on a given topic. This would also be a fantastic tool for the Technology Coach to use to facilitate and share conversations regarding, technology questions, issues and trainings. 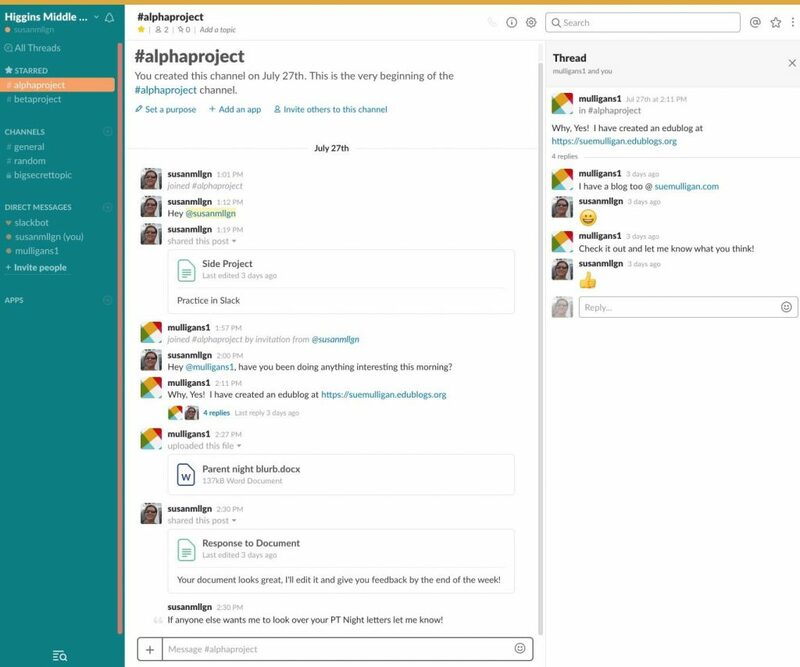 What Does Slack’s Interface Look Like? This is an example of the main discussion thread (center), side thread (right), uploaded documents and the channels (left sidebar). This is an example of a direct message thread. Signing-up for Slack and its basic features are free. Check it out at Slack.